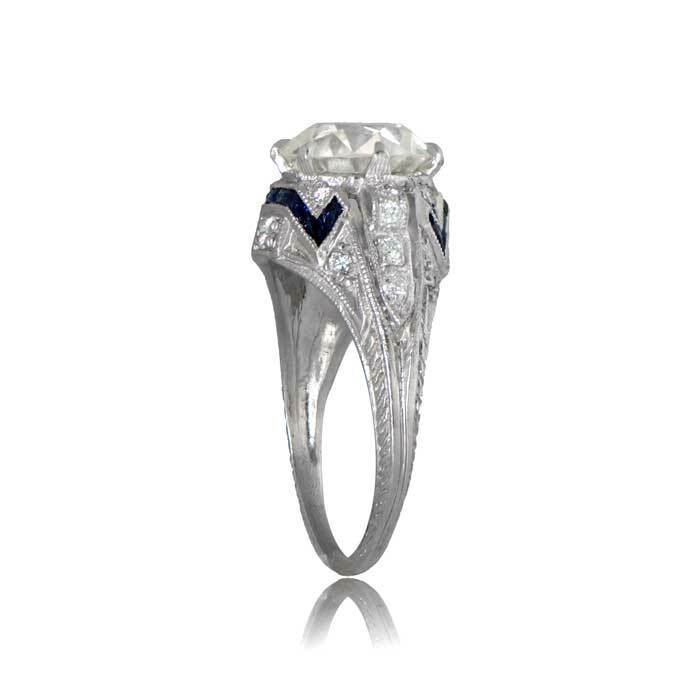 A beautiful Art Deco Era engagement ring that features a stunning old European cut diamond in the center and is adorned by a frame of calibrated French-cut sapphires. 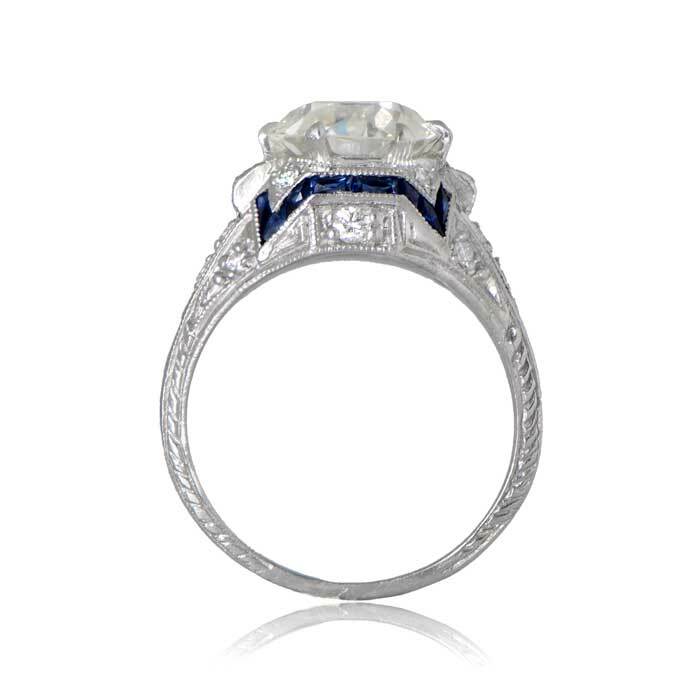 Fine milgrain and engravings accent the shoulders and lower shank and add to the delicacy of the ring. 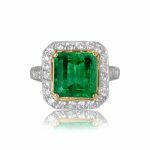 The center diamond weighs approximately 2.35 carats, L color, and VS2 clarity. 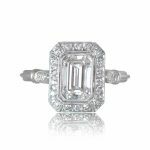 This ring was made towards the end of the Art Deco Era. 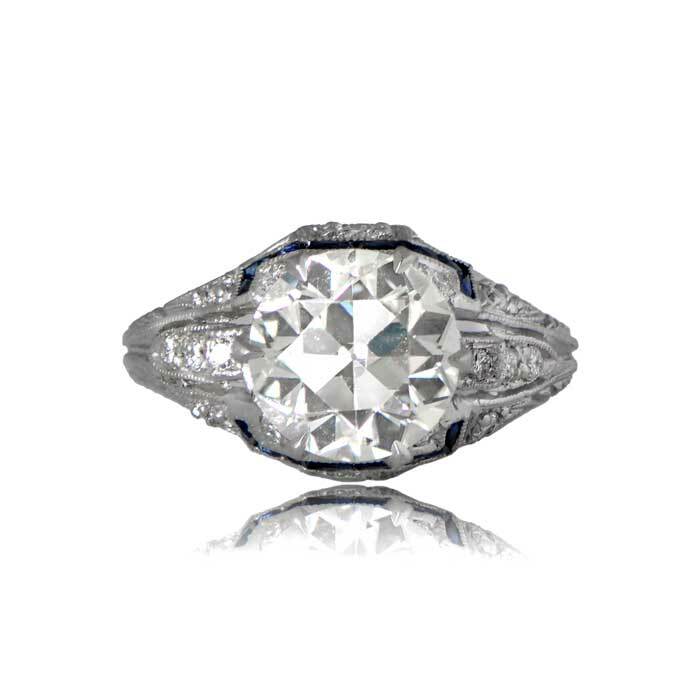 Category: Vintage Engagement Rings - Contact us and request additional pictures.